This is my third blog post discussing different web 2.0 methods of collecting, analyzing, and then visually displaying data that is collected with your students. Sure you can use a computer spreadsheet to do the same thing, but some of the online methods are just too easy to use, free, and a lot less hassle than using Excel or a similar spreadsheet program. I would like to highlight a new one that I found called ChartTool. With ChartTool you can create many of the common types of charts and graphs found in math or science classrooms. All you have to do is input your collected data and then generate the chart. 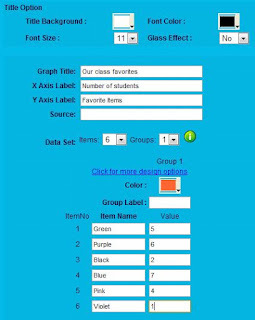 Create bar, line, area, pie, radar, scatter plots, bubble, meter, and line bar graphs. You don't need a login to use the tool. Custom create the way your chart looks in terms of font size and color. I did not see a method of actually being able to embed the chart into your blog or website. You can however save your finished chart by printing, or saving it as a picture. 2. Click on the "Graph" tab found at the top of the website. 3. 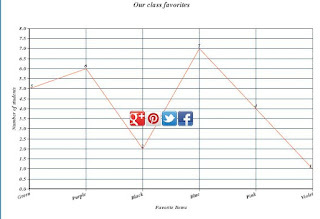 Select the type of graph you want your classes to create. 4. Each graph type will be different than this picture because each chart type have unique properties. In this example I am creating a "Line Graph." 5. Click the green "Arrow" button to go to the next page. 6. Now it is time choose how you want the graph to look and to add you collected data into the chart. Just play with the different options for the title. Next give your chart a title, label the x axis and the y axis. 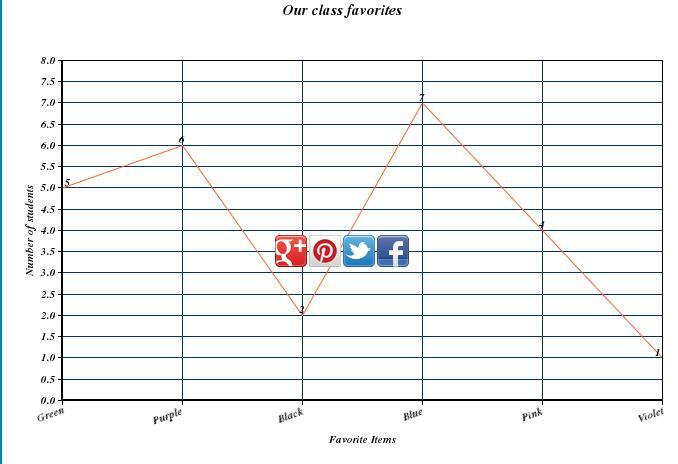 Remember the x axis is the up and down/vertical part of the chart and the y axis goes across your screen. Decided how many data sets you have. Give color to your chart and then add your data and their values to the chart. 7. 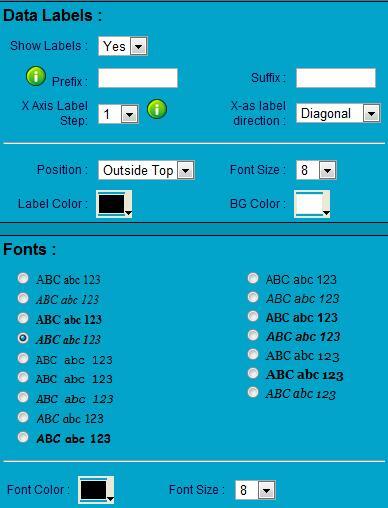 In this section you can play with some more variable to customize your chart. 8. Click the green arrow again and you can now see what your chart looks like. 9. 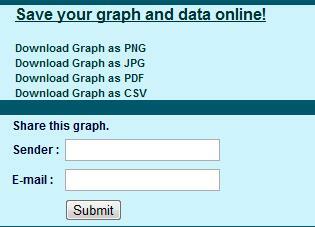 Finally you can save your graph into a few different formats or just email the graph to somebody. Again ChartTool another simple method of taking data that you are collecting, inputting it into the website and then getting instant results and graphs.